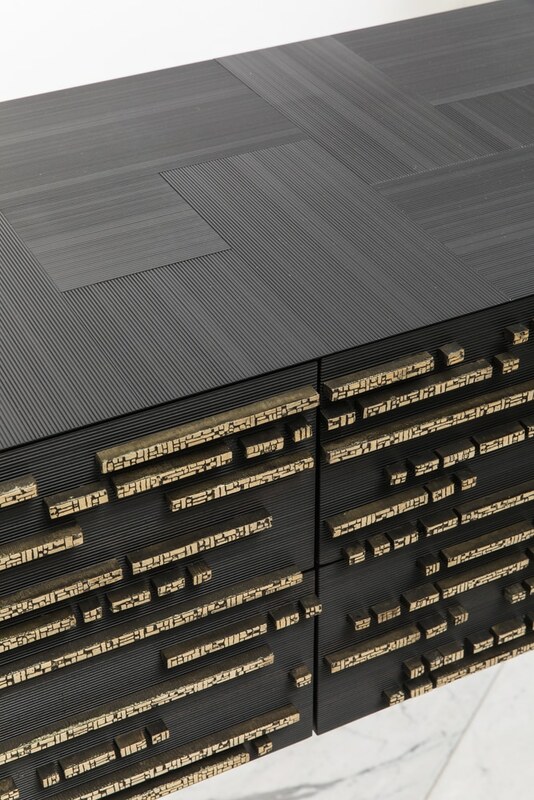 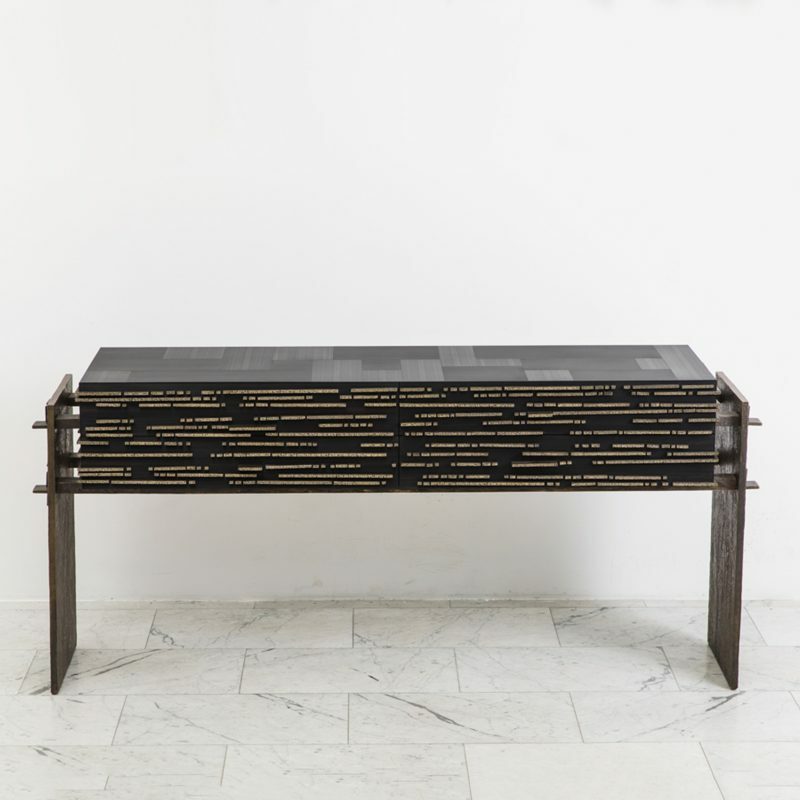 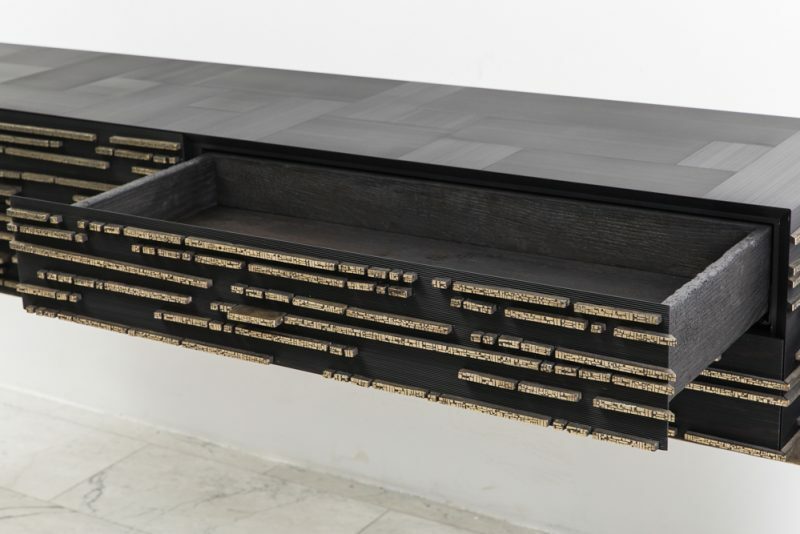 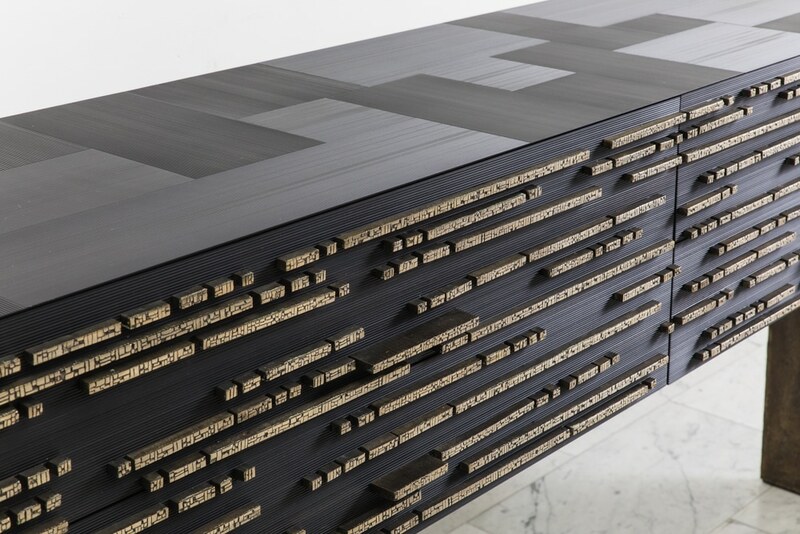 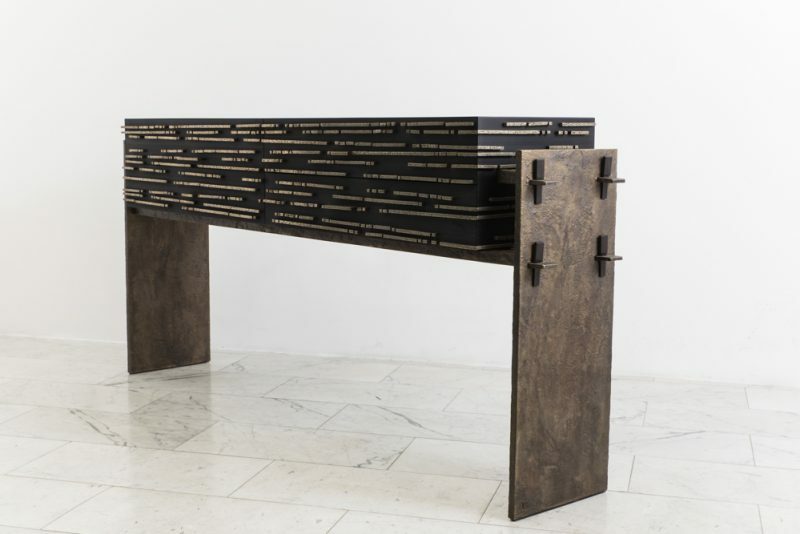 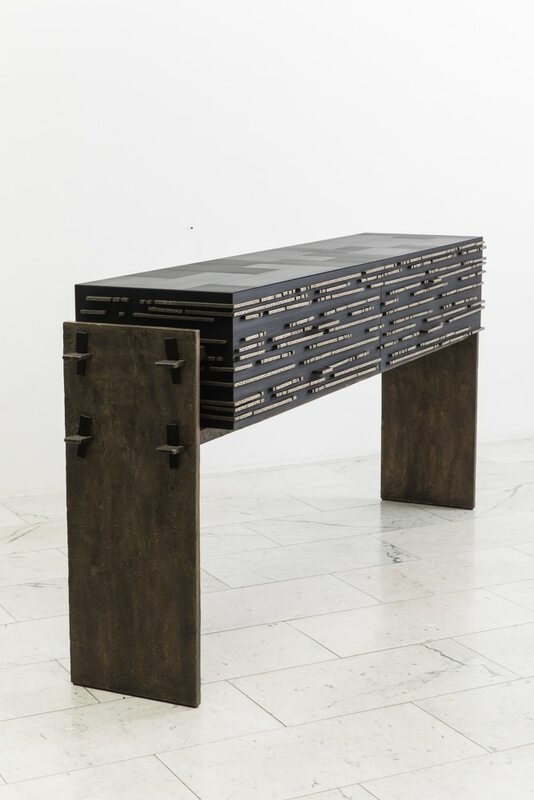 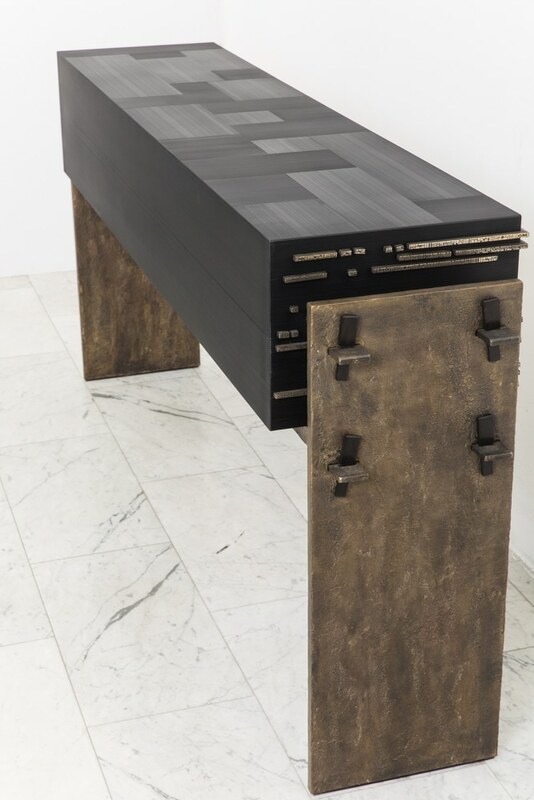 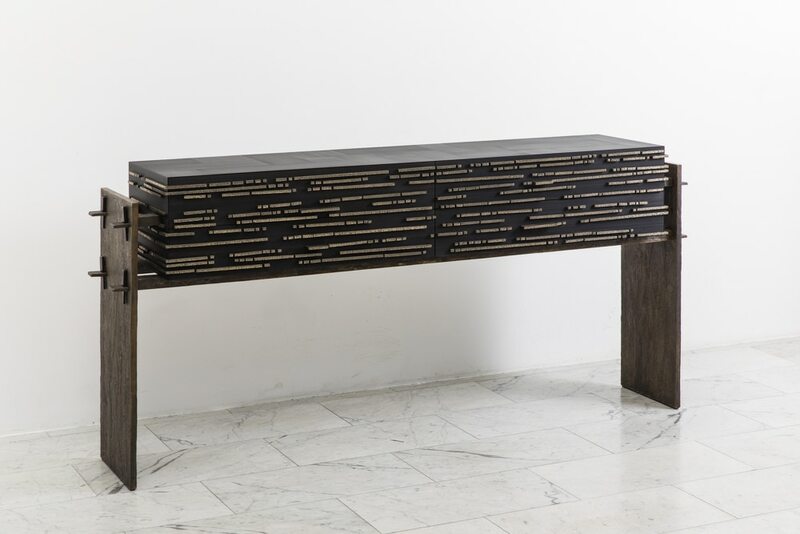 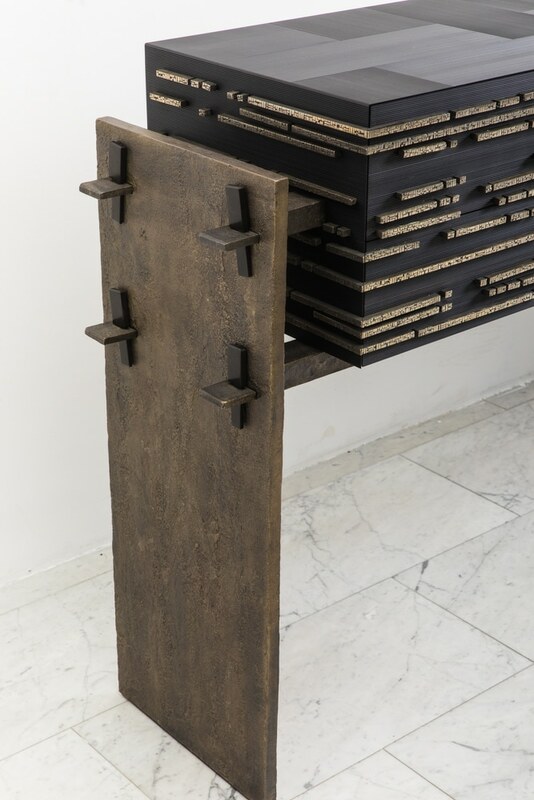 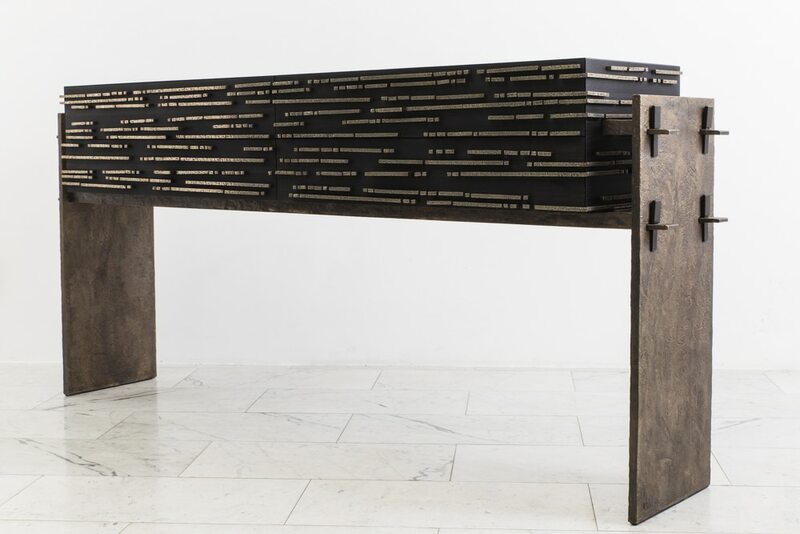 Jean-Luc Le Mounier’s, four drawer Filigrane Console features a top finished with panels of satiny, incised ebony laid out in a geometric mosaic pattern. 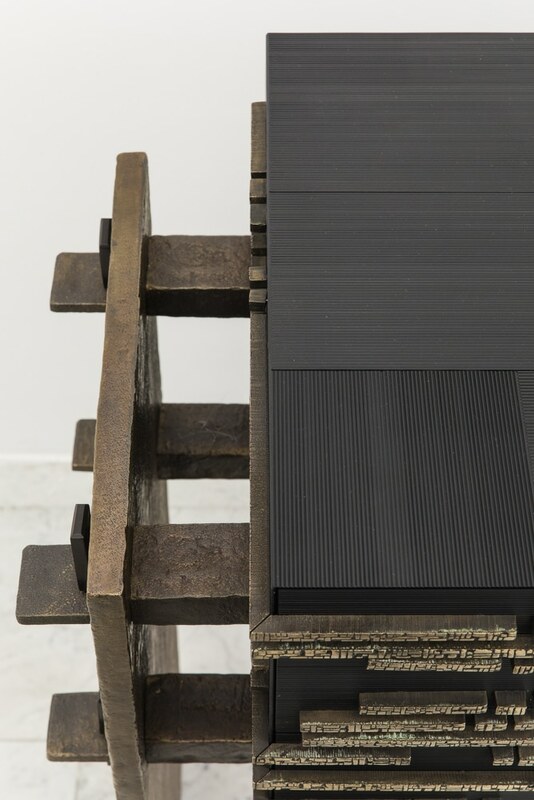 Resting between two cast, patinated, white bronze panels the case of the console is held in place with hand formed bronze pins. 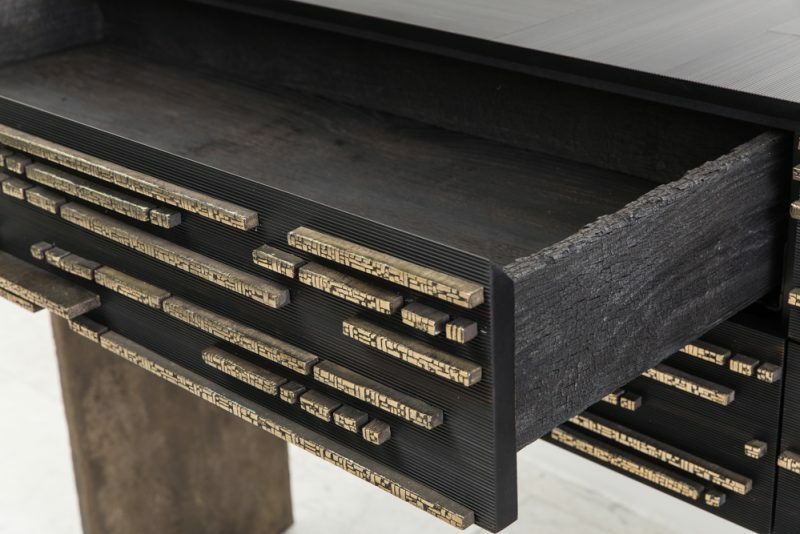 The oak interior of the drawers are finished using the shou-sugi-ban method, an ancient Japanese finishing technique that preserves wood by charring it with fire. In addition to being aesthetically striking and elegant, the finishing technique strengthens the integrity of the oak. 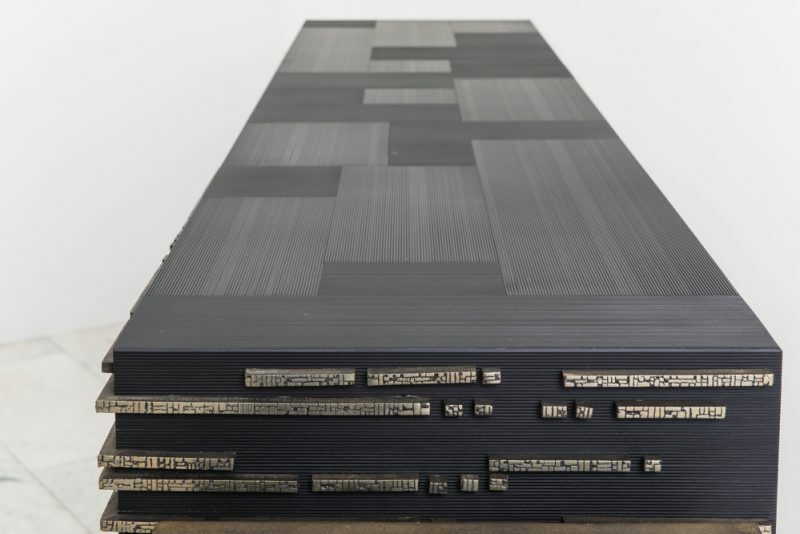 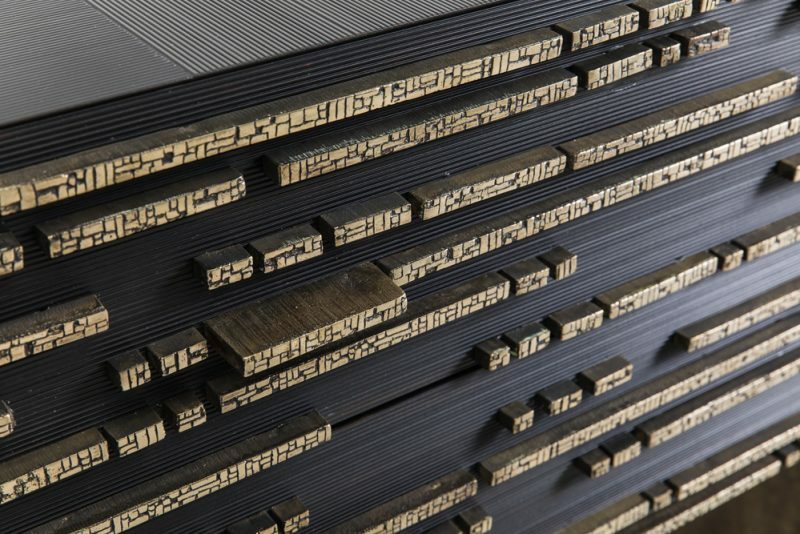 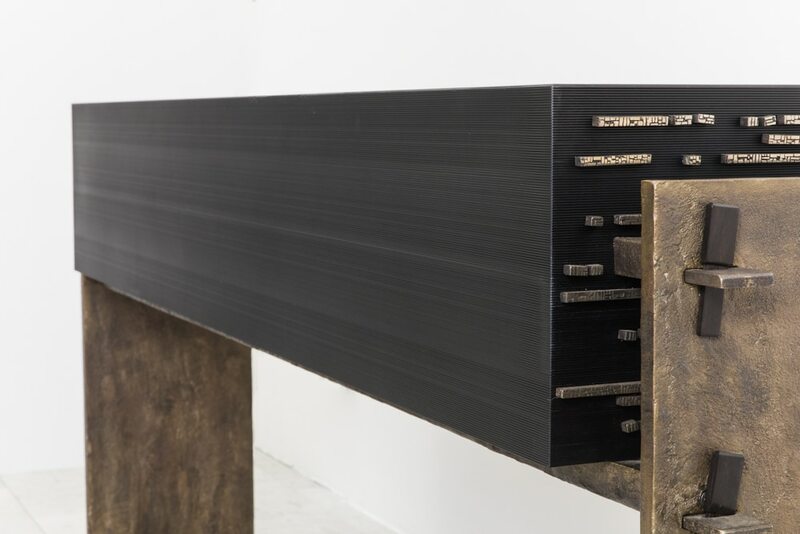 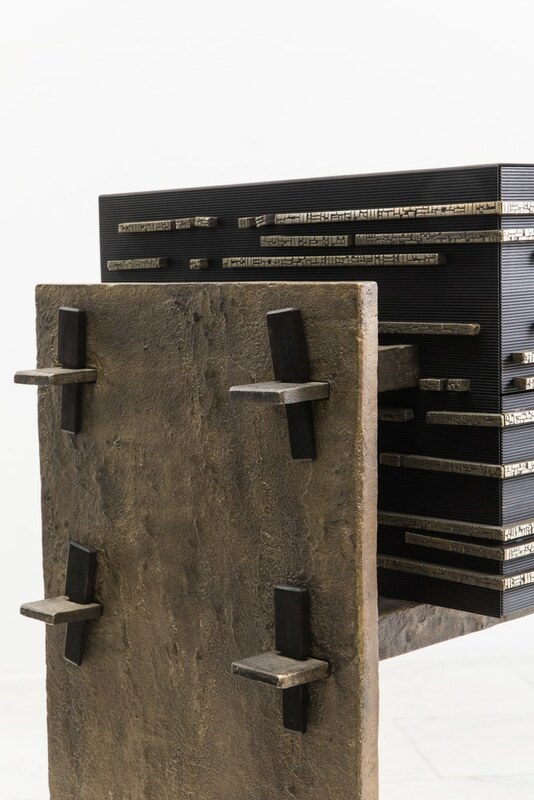 Inspired by the texture of the oak, Le Mounier has used the charred surface of the interior as individual cast bronze details in the front facade of the piece. These white bronze accents flow across the console creating a striking sculptural front that evokes written music or language, and upon closer examination, function as the console’s drawer pulls. 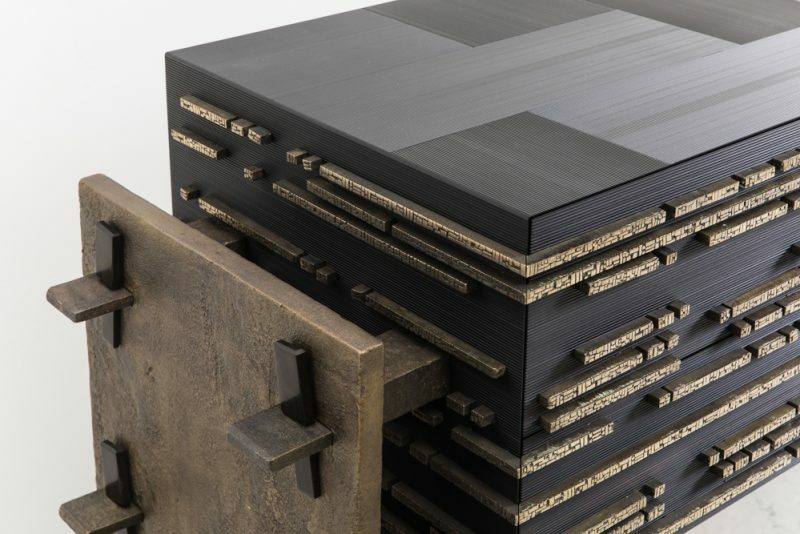 Materials: White bronze, ebony and burned oak.